One of the relatively newer online gaming software solutions, Softswiss has managed to garner critical and player acclaim thanks to their highly innovative approach, excellent services and features. Starting out in 2008 as a casino software provider, Softswiss quickly managed to spread its influence to many online casino establishments thanks to their offer of games and focus on new market platforms. While their library of games isn’t as expansive or diverse as other software providers on the market, Softswiss offers a fine balance of games for both desktop and mobile platforms. The seamless transition without any loss in quality and performance are two of the top reasons for their popularity amongst players. Lastly, they’re one of the few software companies to fully embrace the Bitcoin market shift by offering a whole slew of features integrated in their dedicated Bitcoin casino software. In order to satisfy the needs of their players, Softswiss has their software developed with player interests in mind which include varied yet high in quality games, excellent performance across all platforms and provably fair technology for unquestionable fairness in their games. Their integration with Bitcoin casinos is encompassing all aspects including the anonymous nature of deposits/withdrawals as well as the speed with which transactions are conducted. It is a well rounded package which seems to be accepted more and more in the online gaming scene. Softswiss’ software relies on delivering a colorful yet artful representation of their casino games, with flashy animations, crisp graphics and an eye of detail that is sure to entertain a lot of newcomers as well as veteran players. Where the software excels really is when it is part of a Bitcoin casino – the entire process is streamlined to allow players to simply jump in, pick a game and play for fun or for real money. It is that simple and is not hindered by any authentication processes, technical difficulties or performance issues even when playing on a mobile device. As we already mentioned before, Softswiss software does not have a huge library of games which is only reasonable seeing how they started only in recent years. With that being said they’re are quite insistent on adding new titles regularly so their online portfolio has swelled to include card games, roulette slots and video poker. Each game can be played via a demo version for try out and for real money. The mobile library shares some of the titles found on the desktop versions and the company is working hard on delivering all its titles for the mobile player base. The dedicated mobile app from Softswiss software is a handy little feature which lets you play your favorite games on an Android or iOS powered mobile device. It contains some of the software’s best and most played games and it is easy to recommend since it is simple yet highly rewarding to use thanks to its integration for Bitcoin casinos. 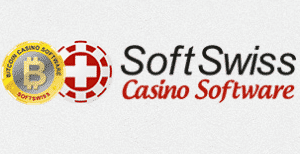 Softswiss software has several certificates from gaming organizations such as the TST and employs RNG protocols to ensure fair play in all their games. When it comes to Bitcoin casinos, their software is a proof itself for the casino’s fairness thanks to their provably fair technology implemented in all games that are part of the casino’s rooster. In order to take advantage of all the benefits Softswiss has to offer to players you need to experience it in action at Bitstars casino. 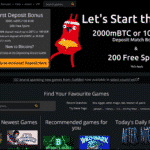 This Bitcoin casino takes full advantage of all features Softswiss is famous for including instant access, fast and anonymous deposits and withdrawals, provably fair games and lots of prizes. Softswiss software has a lot of features that define their approach to the new generation in online gaming – transition to mobile and a whole dedicated portion to Bitcoin gaming. Their online games portfolio might not be as extravagant in numbers or visuals however it offers enough incentives to get you playing. The rest is the standard fair of great service, optimization on all platforms and fairness that is hard to match.